Welcome all to our new blog. We chose to use a blog rather than a website because we want to be a responsive as possible to all the wonderful gender related work that is happening across the University. 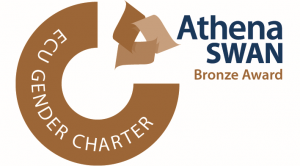 As well as providing a central place for news and activities related to gender equality at Salford we have also posted (in the menu on the left) an explanation of the Athena SWAN Charter including the ten Athena SWAN Principles to which we are committed as we look to make change related to gender equality across our organisation. We want our Athena SWAN work to be as transparent as possible so you will also find links to our successful school applications. The applications all include individual school Bronze Action Plans which detail the work that is being undertaken by the School Self-Assessment teams. Most importantly, the blog welcomes posts from all of our staff and students and we’d love to hear from you. Our first blog in 2019 comes from our new Menopause Network so watch out for that.